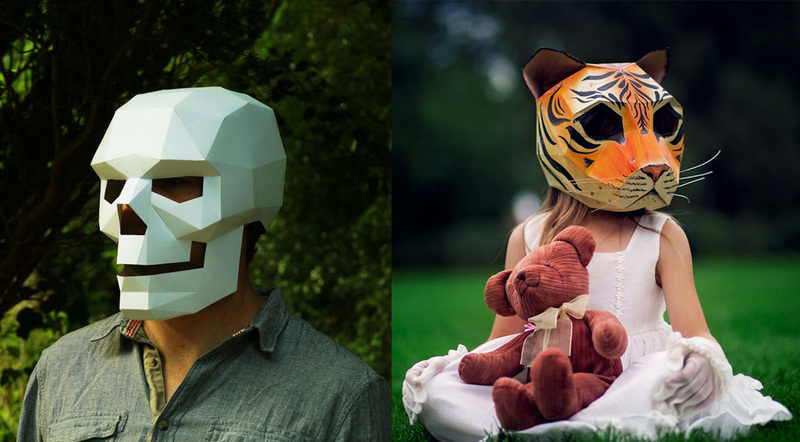 Designer Steve Wintercroft has created an incredible series of inexpensive geometric masks, perfect for this Halloween. You can download the mask templates to your computer, print and then colour as you like. His Etsy page has all sorts of templates available, ranging from animals and pumpkins to skulls and faces.